25% end axle load may be applied over the roller end only. Note: Detailed application information is required at time of quotation for any platform over 72 long. 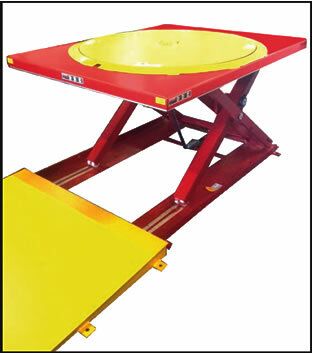  The LIFTMAT is not suitable to mount a conveyor of any type.  This lift is not suitable for washdown applications. weight increases. 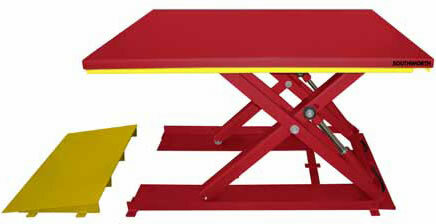 It is recommended that when using a hand pallet jack that the weight be kept to a minimum.  Longer ramp may be required to reduce the angle of incline for unstable and low clearance loads. selected to eliminate this problem.  The electric power unit is external.  Air operated power unit is not available.  5 of hydraulic hose is standard, longer lengths at an additional cost.